According to a recent report the conformal coatings market for PCBs reached $8.8billion in 2017 and further growth is to be expected. The report, from Fact.MR has found that the market is expected to register 5.6% CAGR during 2018-2026 – a welcomed increase by many electronics manufacturers worldwide. So why the increase now you may be wondering? To put it simply, consumers want their electronics to last longer and the best way to enhance the life of their components is to use conformal coatings. Its purpose is to protect electronic circuits from harsh environments that may contain moisture and or chemical contaminants. By being electrically insulating, it maintains long-term surface insulation resistance (SIR) levels and thus ensures the operational integrity of the assembly. It also provides a barrier to air-borne contaminants from the operating environment, such as salt-spray, thus preventing corrosion. 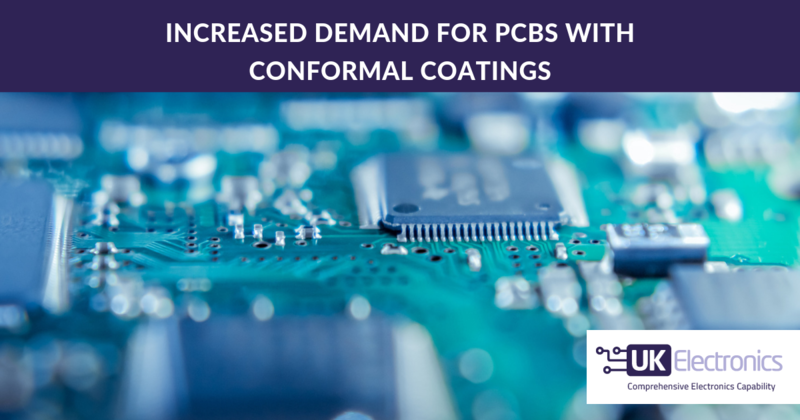 UK Electronics offers its customers PCB conformal coating services. The conformal coatings we use are all environmentally friendly and should our customers require a specific specification of conformal coating we are always happy to source it on their behalf and use it solely on their products. For further information on our PCB conformal coating services please click here.